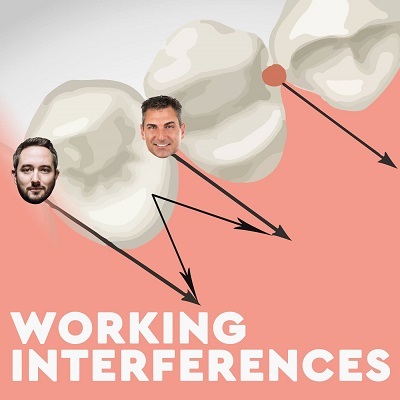 Dr Chris Salierno joins the Working Interferences to interfere with your wisdom. After establishing his alibi for not being a serial killer in NY, Josh and Lance dispense more knowledge. #1 asks about touching legs with team members during operative dentistry. Should the dentist wear NHL goalie gear? #2 asks about gift giving for the team from the dentist. What is the best gift that you won’t mind seeing tossed into the trash within minutes? The Reddit! question is about blow jobs and gum grafts…. Are you seeing a trend here? And thanks to our sponsor, Goby. Check out the great and AFFORDABLE mechanical toothbrushes!